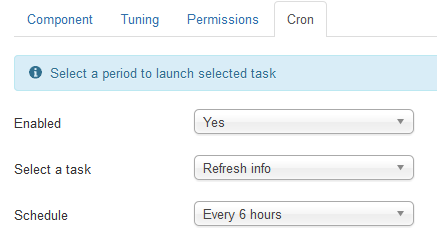 Task to be launched: Refresh info: Update all information of managed websites. Launch Automated backup: Creates a backup of sites with the “Automated backup” feature enabled. All tasks: Do both previous tasks. Frequency to launch the task.